Eyes-so-bright power nap. Depuff, lift & refresh. Quickly correct what ages your eyes (puffy undereye bags, dark circles and droopy eyelids) for revitalized eyes more refreshed than a full night of sleep. Peptides and firming agents tighten, plump and hydrate thin, delicate eye skin to naturally mask the darkness clouding your eyes. Light-diffusing pigments diminish dark circles. Apply twice daily directly over eye area, including under eye, eyelid, brow bone and side eye area. Water (Aqua), C12-15 Alkyl Benzoate, Hydrogenated Polyisobutene, Glycerin, Acrylates Copolymer, PVP/polycarbamyl polyglycol ester, Silica, Cetyl Alcohol, Glyceryl Stearate, PEG-100 Stearate, PEG-40 Stearate, Dimethicone, Hydrolyzed Sesame Protein PG - propyl methylsilanediol, Hydrolyzed Wheat Protein, Soy Protein Phthalate, Polyacrylamide, C13-14 Isoparaffin, Laureth-7, Steareth-20, N-Hydroxysuccinamide, Chrysin, Palmitoyl Tripeptide-1, Palmitoyl Tetrapeptide-7, Butylene Glycol, Acetyl Tetrapeptide-5, Phenoxyethanol, Ethylhexylglycerin, Titanium Dioxide ( CI 77891), Iron Oxides (CI 77491). 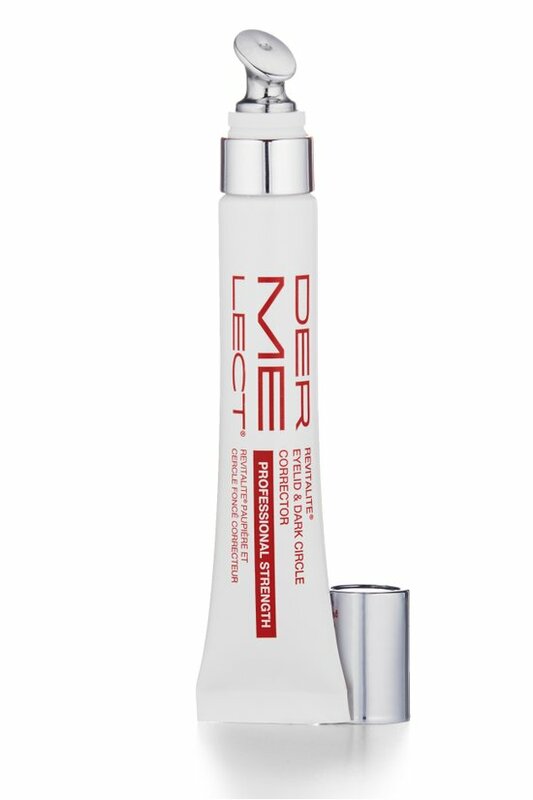 As the first cosmeceutical line formulated by medical professionals and estheticians, Dermelect® Cosmeceuticals is known internationally for high quality and effectiveness. Each targeted solution is designed to bridge the gap between the physician's office and spa treatments with medical grade ingredients and time-saving techniques.